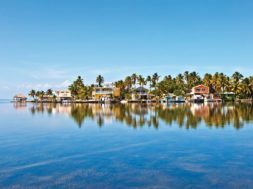 It’s Spring Break season, and there are fun and educational options when it comes to family-friendly getaways. 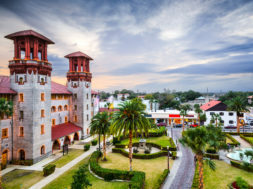 Orlando is a kid-friendly destination all on its own, but if you’re looking to get out of town there are destinations all over the state that cater to all ages. 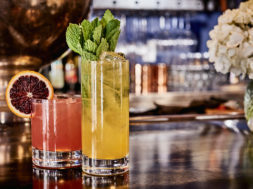 With upscale shopping along Worth Avenue for adults, a variety of adventurous attractions for kids, and stretches of beautiful beaches for everyone to play on, Palm Beach is a locale that the whole family will love. Through April 16, Palm Beach Marriott Singer Island Beach Resort & Spa is offering a two-night Dinosaurs Around the World vacation package in conjunction with South Florida Science Center and Aquarium’s newest prehistoric exhibit. The center’s Dinosaurs Around the World: The Exhibition exhibit will entertain kids with 13 life-sized dinosaur replicas and a meet and greet with local paleontologist, Robert DePalma. He will show them real fossils and discuss his findings. Resort guests will also get to participate in some fun extras that center on the dinosaur theme. The Dino-Mite welcome amenity is a foodie excavation designed by Executive Pastry Chef Brittani Szczecina where kids are invited to brush away graham cracker dirt to uncover tasty chocolate dinosaur bones. During the resort’s dinosaur arts-and-crafts activities at the Kids Club, young guests are invited to build dinosaur sun catchers and paint ceramic dinosaurs. Resort guests who purchase the Dinosaurs Around the World package will also receive a discount for the dinosaur exhibit at the South Florida Science Center and Aquarium. If a staycation is more your style, then LEGOLAND Hotel in Winter Haven is the perfect place to hunker down for a weekend of LEGO fun. 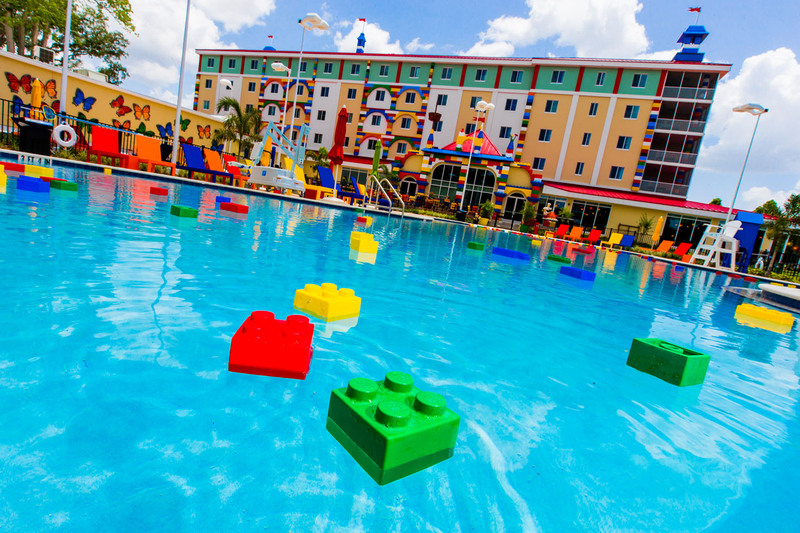 Less than a year old, the LEGO-themed hotel and its surrounding theme parks are situated just outside of Orlando. Each room is themed in one of four categories: pirate, adventure, kingdom and LEGO friends. So whether your kids like cowboys, princesses, pirates or knights in shining armor, all of their favorite things are covered. When your family checks in, the kids are given clues for a special in-room treasure hunt that, if successfully completed, will unlock a chest filled with a LEGO surprise. The property also boasts interactive activities for the little ones including Master Model Builder Sessions, Minifigure Trading and Nightly LEGO Building Competitions. During the day, hotel guests can enter the park before anyone else. When you need a break, you can lounge by the hotel pool, which is filled with colorful floating LEGO blocks. With Spring Break approaching, there are plenty of educational and just-for-fun vacation options for the whole family. And they’re just a short car ride away.